Home/Uncategorized/Hire a bartender Cape Coral Hire a Bartender Ft. Myers and Hire a Bartender in Naples from Elite Bartending School this season! Hiring a bartender or renting a bar in the Cape Coral, Ft. Myers, or Naples area this season couldn’t be easier this season! 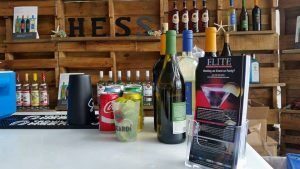 Whether you need to rent a bar, hire a bartender, hire a server, or need an inventory list of products and or specialty cocktails, Elite Bartending School and Elite Event Staffing has you covered. We provide bartender staffing in Southwest Florida for any event big or small. Having a wedding? Hire a bartender! Putting on a concert or a festival? Hire a bartender! Our mobile bars and bartenders are priced affordably. Elite Bartending School and Event Staffing has no staffing fees! Only pay for the hourly rate for the bartender! Call 239-900-6701 for more info!